The first planned, major expansion of In Harmony Liverpool was launched at a special event on 12 February 2015 at Everton Nursery School and Family Centre. Launched as part of Liverpool Philharmonic’s 175th Anniversary celebrations in 2015, it builds on six successful years of immersive music-making in West Everton centred on Faith Primary School and its local community, for children and young people 0-16 years old. In Harmony Liverpool is inspired by Venezuela’s El Sistema and uses orchestral music-making to improve the health, education and aspirations of children and young people in Everton. Supported through funding from the National Foundation for Youth Music through to July 2016, this new partnership will enable more than 200 children under 5-years-old and their families in Everton to take part in music-making for up to two hours every week, led by Liverpool Philharmonic’s In Harmony team, Everton Nursery School teachers and musicians from the Royal Liverpool Philharmonic Orchestra. Liverpool Philharmonic welcomes Everton Nursery School and Family Centre into the In Harmony Liverpool ‘family’ alongside Faith Primary School, The Beacon CE Primary School, Liverpool Resonate Music Education Hub, Liverpool Hope University, West Everton Community Council, The Shewsy and participating children and families. The expansion increases the total weekly reach of In Harmony Liverpool to more than 600 children and young people aged 0 – 16 in Everton. Access to concerts and events at Liverpool Philharmonic Hall through Liverpool Philharmonic’s Paul Hamlyn Foundation supported programme for new audiences, Leap into Live Music. Regular professional development, supporting collaborative working between teachers and musicians. Through Everton Nursery School and Family Centre’s role as lead for the North Liverpool Teaching School Alliance, the programme includes a significant focus on professional development of teachers and musicians. Liverpool Philharmonic has been leading In Harmony Liverpool since 2009 with partner organisations in Everton including Faith Primary School, West Everton Community Council, Resonate Liverpool’s Music Hub, Liverpool Hope University, Beacon CE Primary School, Hopscotch Nursery and The Shewsy. A genuinely transformative music and social programme, In Harmony Liverpool has reached a total of 360 children and their families to date through immersive, intensive orchestral music making. In addition to excellent musical and creative outcomes, there is strong evidence, through longitudinal evaluation, that In Harmony Liverpool is making a positive impact on educational attainment, school attendance, personal, social and emotional wellbeing of children, with wider impacts on stronger family relationships, increased pride, wellbeing and aspirations in the community. In Harmony Liverpool is part of the In Harmony national programme supported by Arts Council England and the Department for Education, which uses music to transform the lives of children and young people. Other Arts Council England funded In Harmony programmes are now established in London, Leeds, Newcastle Gateshead, Nottingham, Telford and Stoke-on-Trent. Including Arts Council England support, Liverpool Philharmonic has been successful in securing over £650,000 of support between 2013-2015 in the form of major gifts and donations from the Paul Hamlyn Foundation, National Foundation for Youth Music, the Rayne Foundation, NHS Liverpool, The Eric and Margaret Kinder Charitable Trust, Oglesby Charitable Trust In Harmony Fund, LJMU, The Granada Foundation, Faith Primary School, West Lancashire Freemasons Charity and private donors. 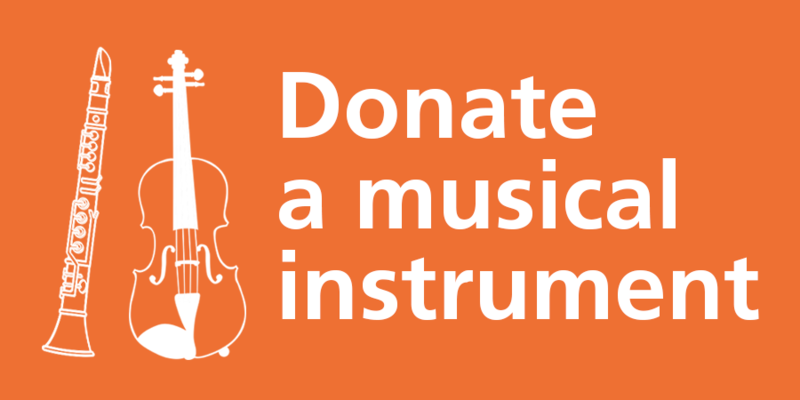 Liverpool Philharmonic is currently fundraising for the period 2015-2018. How can we create music so powerful it influences change?? Melek joins us from our Welsh programme Codi’r To which translates as Raise the Roof. This is her first Sistema England Young Leaders Camp and we caught up with her on Thursday to find out more about her tuba playing back home in North Wales. Diolch yn fawr i Melek am siarad a ni!